Stressed teachers are being reduced to tears and not being helped with their workload, a teachers’ leader says. Mary Bousted, general secretary of the ATL teaching union, says she has been told of one teacher crying every night at home and another being ordered not to burst into tears in the staffroom. She added that teachers are often expected to work extra hours at home. And she called on head teachers to back their staff, while ministers have pledged to reduce unnecessary workload. Dr Bousted, writing in the Times Educational Supplement, said how she was “silenced” by a young man who told her how worried he was about his primary school teacher partner. “Increasingly, when he came home from work, he found her crying on the kitchen floor,” Dr Bousted said. She told how she had heard from another teacher who had been given a performance objective that she must not cry in the staffroom. “She did not know what to be more mortified about – that she had cried in the staffroom, or that her line manager could propose such an objective without any thought about what might cause her to cry in the first place,” Dr Bousted said. She added: “Tales like these are told to me just too often. 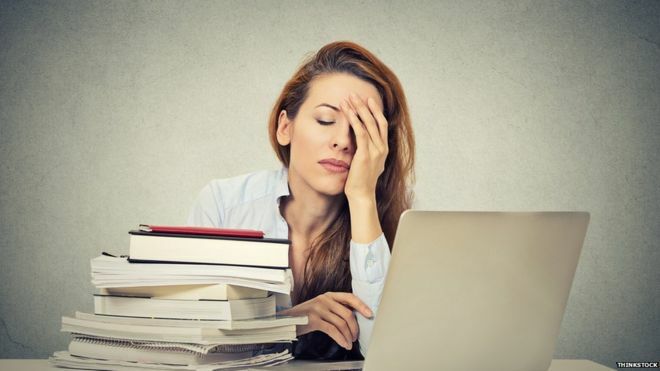 It seems that teacher stress is increasingly being regarded as par for the course and part of the job. “A newly qualified teacher, asking for help to deal with an impossible workload which took up every evening until 11pm and all of the weekend, was told by her line manager ‘that’s the way it is in teaching’. Brian Lightman, general secretary of the Association of School and College Leaders, said there was no doubt the whole teaching profession, from the newly qualified teacher to the senior leader, was under considerable pressure. “It’s essential that we all pay attention to the well-being of staff. That’s a shared responsibility between colleagues of the same level, middle leaders, senior leaders and governors, who ultimately carry the duty of care. Dr Bousted also pointed out that the education system cannot afford to be so “profligate with its teachers”. “At the moment England is in a perfect storm of rising pupil numbers, falling teacher recruitment and poor teacher retention. “Official figures show that the country will need nearly 160,000 additional teachers over the next three years to cope with a projected 582,000 rise in primary and secondary age pupils by 2020. “If our education system is to meet this immense challenge, it needs to value its teachers as its most precious resource and treat them accordingly,” she added. A Department for Education spokesman said teaching remained a hugely popular profession, with the highest numbers of people joining since 2008. “But we want to ensure teachers can focus on what they do best – teaching and inspiring young people – not needless bureaucracy and paperwork. “That’s why are driving forward a package of measures including looking at how we can reduce teacher workload by tackling three of their biggest concerns – marking, planning and data management.